For those of you not familiar with Yosemite, it is located in the central eastern portion of California on the western slopes of the Sierra Nevada mountains. The National Park covers an area of some 3,000 square kilometres. 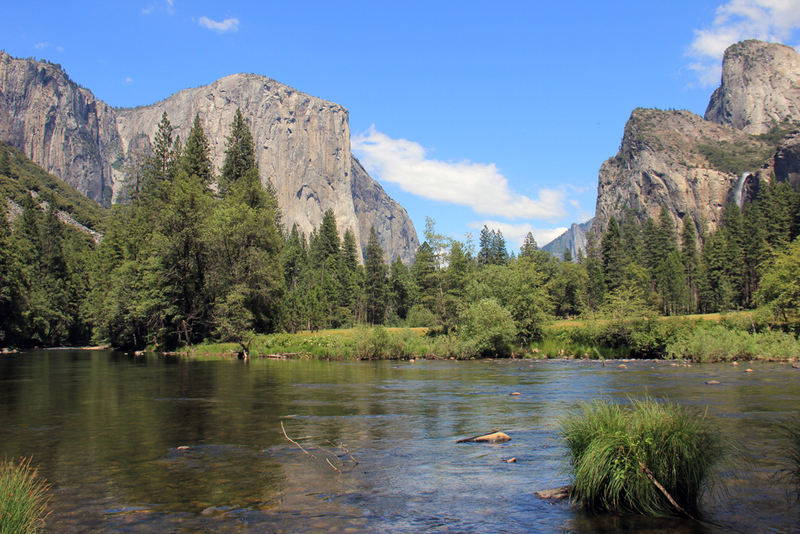 The famous valley of green meadows, picture-book rivers and pine forests sits nestled between sheer 3,500 foot granite cliffs including such iconic peaks as ‘Half Dome’ and ‘El Capitan’. Beyond the valley, nearby sequioa groves, flower-lined meadows and lakes such as Hetch Hetchy add to the experience of a natural world of unparalleled beauty. Indeed, this was the birthplace of the American environmental movement through pioneers such as John Muir who in the early 1900s lobbied the US President Theodore Roosevelt for Yosemite’s listing as a US National Park. My family and I travelled to Yosemite in June. While we were familiar with the name Yosemite, we were totally unprepared for how spell-binding the place actually was. Despite being busy with tourists, the scale of the valley and wider park meant you could always find solitude. One of our best memories was an afternoon high up on a mountain, watching the sun set across the valleys and the changing colours of approaching storm clouds on the far horizon. However, the signs of drought were ever present. Reservoirs in the valleys below Yosemite were clearly denuded. The famous Yosemite valley waterfalls from the winter snows were coming to an early close, and our guide noted ominously how they had had less than half their regular snow fall the previous winter. The land was dry and hot. As we left, the region descended into a record-breaking heatwave. Unspoken behind these conversational asides was the obvious link to decades of changing weather patterns, drought and the impacts of anthropogenic climate change in the south-west of the US. 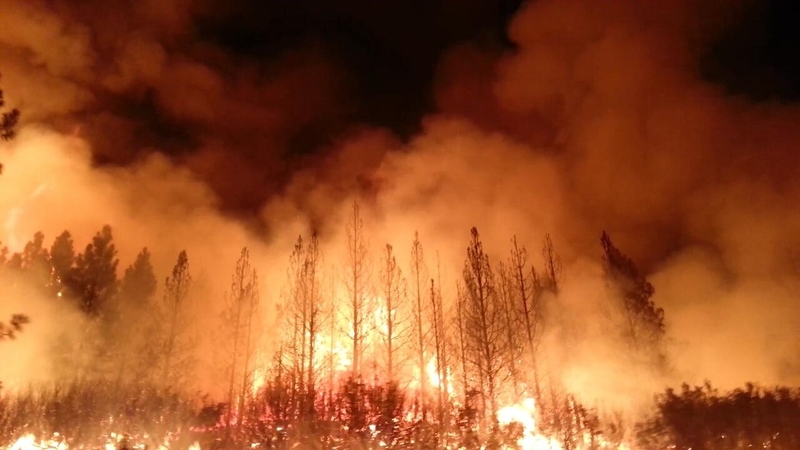 So, in some ways I was unsurprised when I heard the news about the huge ‘Rim Fire’ descending on Yosemite. While fire is a natural part of the forest ecosystem, we have now changed the basic conditions under which such forests can survive. As fire ecologist Andrea Thode of Northern Arizona University noted in a recent report ‘…where there’s a high-severity fire in a system that wasn’t used to having high-severity fires, you’re creating a new system.’ More immediately, the flow-on effects of massive forest fires on water supplies and power generation highlight how we have yet to realise how dependent we still are on the natural world despite our technological ‘mastery’. California and other parts of the US south-west have now had years of record-breaking drought and increasingly large fire events. Politically, the links of these weather events to climate change are commonly denied and rejected, and yet nature doesn’t care about these human obfuscations. As Matthew Hurteau, assistant professor of forest resources at Penn State University explains in the video below, the links between climate change and wild fires are reasonably straight forward. Climate change ‘primes the pump’ via warming temperatures, reduced winter snow packs and drying of the fuel load. Despite decades of warnings from climate scientists, we continue to change the composition of our atmosphere via ever increasing greenhouse gas emissions. While the immediate implications of these changes for specific locations are uncertain, as the Rim Fire and other increasingly extreme weather events highlight, they are unlikely to be beneficial to the continued existence of many of the species on this planet, including our own.